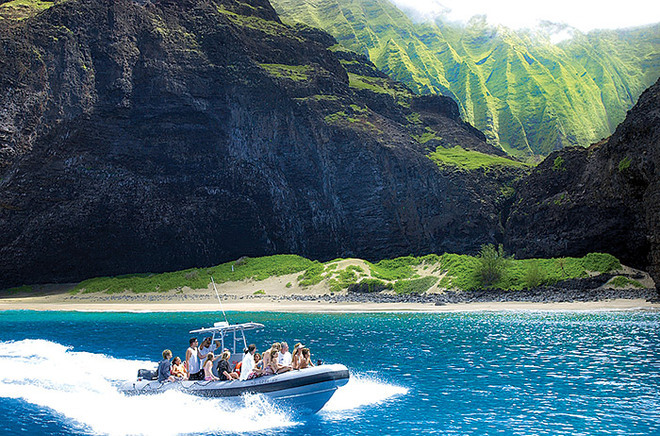 This Na Pali coast rafting tour with a beach landing is the most adventurous tour I have ever been on - anywhere! The amazing views of the sea life here are up close and in your face. 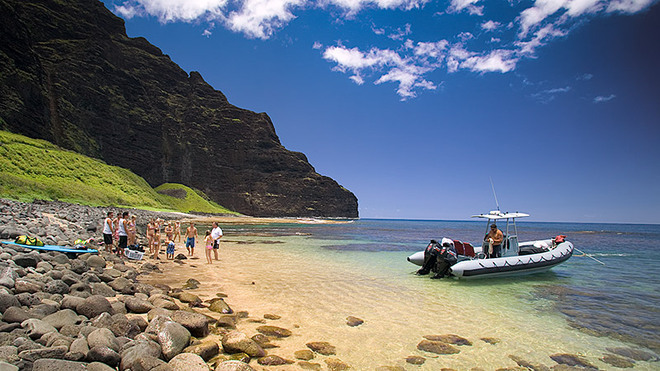 The sea caves, waterfalls and the beach landing at a REAL authentic ancient Hawaiian Village (when weather permits) are as good as it gets. 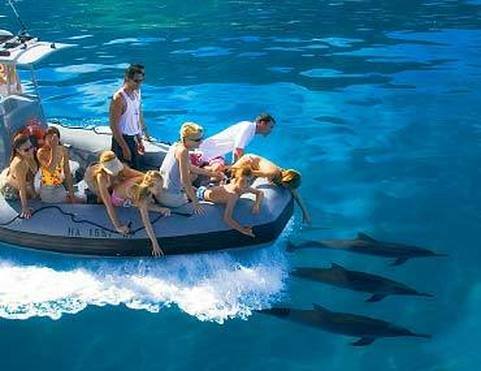 You stop to snorkel for an hour at a remote reef and enjoy a wonderful buffet lunch on the beach during the Spring/Summer season and a picnic lunch either on the beach or on the boat during our winter months. Hands down-THIS IS THE ONE if you are up for extreme excitement! 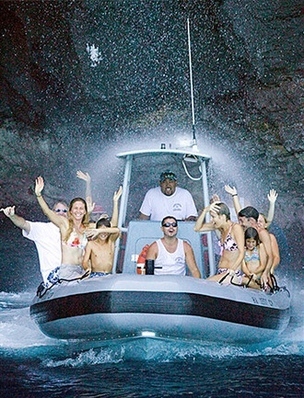 6 hour tours depart from Kekaha on the West side between mile markers 24 & 25 at the Kikiaola Small Boat Harbor. No children under 5 permitted. Due to the nature of the ride we cannot accommodate any pregnancies, neck or back injuries, medical conditions or recent surgeries. 24 hour notice required for cancellation.